@hjcnewmedia Half the learning at #afpcongress is outside the workshops. Arrive early, stay late, talk to lots of folks. Ok all booked for #afpcongress #tweetspa @KimberleyCanada @MrsMcDowall @lpdiversa @LeahEustace who else? @tanialittle @FundraiserBeth ? Peeps who are new to #afpcongress & attending solo should sign up for the Pace Buddy program! Message @afptoronto for deets. We'll have a big presence at #AFPCongress. Come by and say hi at the STTV booth and maybe get interviewed! #STatAFP. Great article on using Twitter for a better #afpcongress experience, @LeahEustace! bit.ly - I'm a proud #twitterteam member! Starting to get excited for my second #afpcongress! Questions about charitable #realestate, your office space or lease? Then visit the #CresaPartners booth @ #AFPCongress in 9 days! @cormack_lindsay You know you love fundraising when you're spending your 25th bday at #afpcongress! Birthday drinks with fundraisers! Yippee! One more week til #AFPCongress! We're so EXCITED to see all our fundraising friends! What are you most excited about? 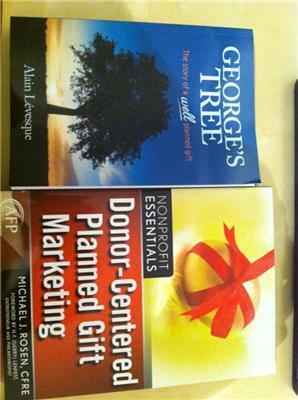 @SylvieinToronto @mrsmcdowall @afptoronto what are you looking forward to most at #AFPCongress ? Don't forget #afpcongress is Green. Download presentations for ur sessions from the Congress website bit.ly before hand. Who's going to #afpcongress from the @afptoronto chapter? I'm pretty pumped about my workshops!